I traded two calls today. Sell on Infosys and Bhel. Both were successfull. Please see the charts. The market was volatile as expected due to expiry. The week of expiry and on big news days, technicals will not work 100%. 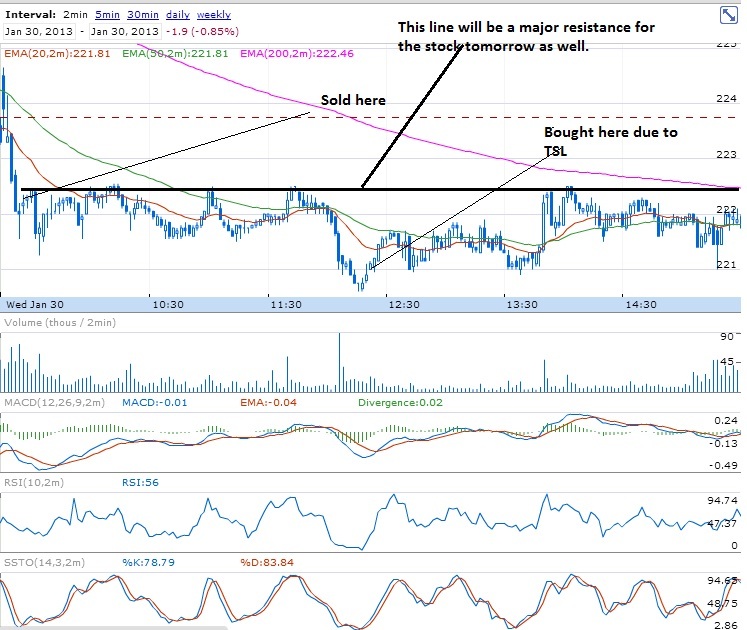 Infosys was a sell below 2794. 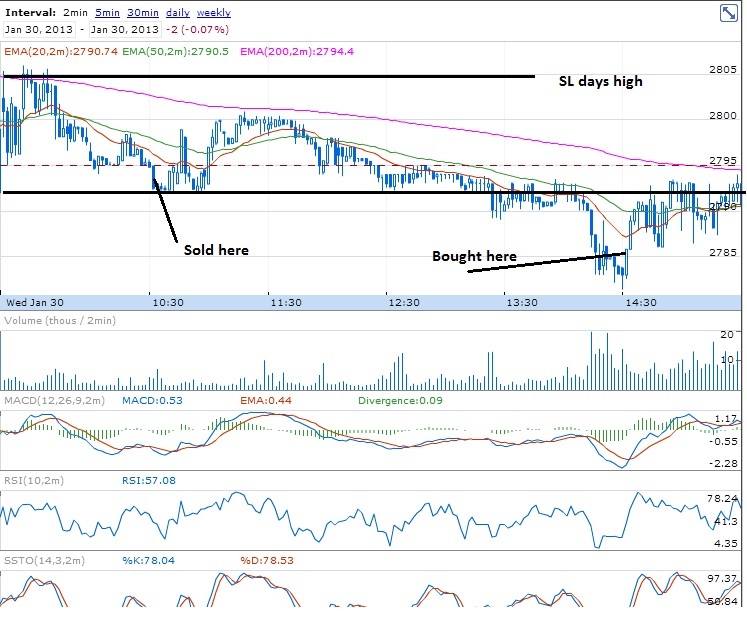 Once it sustained below 2794, the stock moved down giving 10 points profit!!. Importance of crossing days low. However, one flaw in this trading was that, I did not wait for two candles below days low. Hence the stock started flying up. But days high SL saved be from booking loss. Ended up in profit. ALWAYS MAKE SURE THAT YOU SEE TWO CANDLES MINIMUM ON BREAKOUT/BREAKDOWNS before you trade. BHEL was sold below days low. Stock bounced back, but SL above days high saved. Watch BHEL tomorrow, the line shown below will be a major resistance area for tomorrow, IF the stock opens below that level. Daily pivot for tomorrows trading is 222.33. If the stock moves above this, on short covering the stock will give 2-3 points rally before falling again.